Helen and I created some ideas for activities and lessons to go along with some kits that were being produced using INTEL boards, for the BETT Show. I wasn't able to go along to the BETT Show, but Helen was there working, and showing off what we produced. You can watch the programme on iPLAYER and it's going to be there for a year, so there's plenty of time. 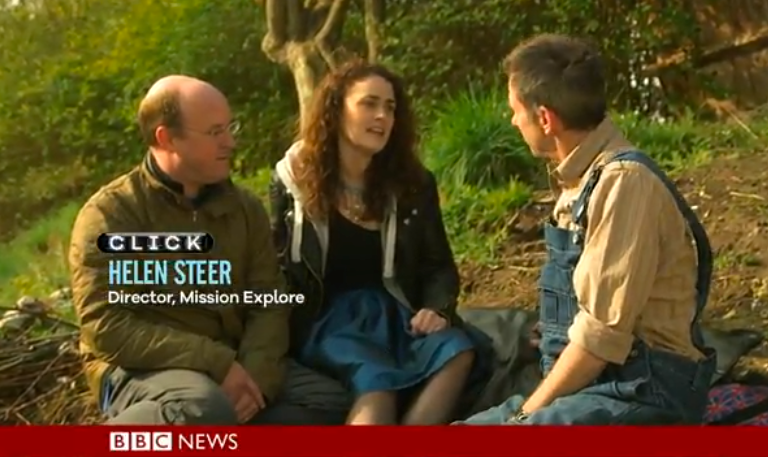 Start watching from 6 minutes and 30 seconds in to see Duncan from INTEL and Helen from Explorer HQ talking about our soil moisture sensor kits and resources.